sounds delightlful!!!! Lulu's are always on repeat for me too! Lo-lo-love it. That bag especially. So chic. 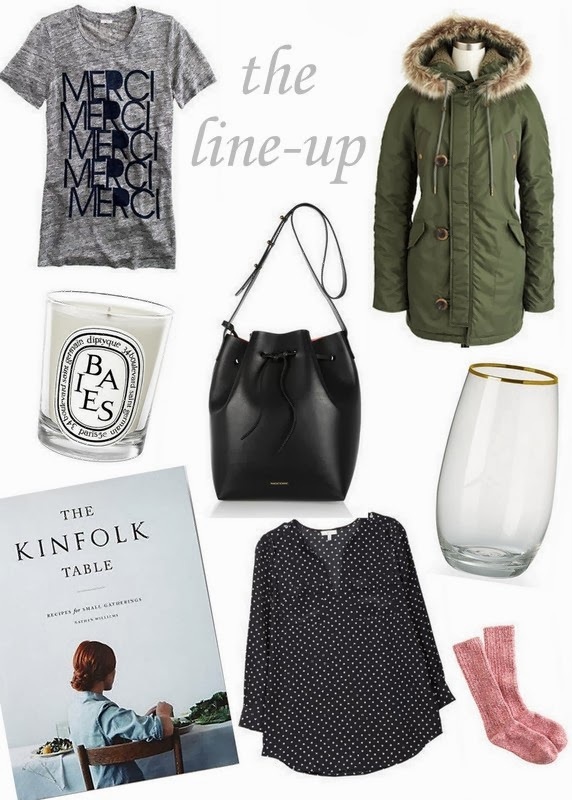 And neeeeeed Kinfolk Table! To echo Jillian: I have the Merci tee, too! Love it. Great round-up. Hope you're staying warm in Chicago, lady!